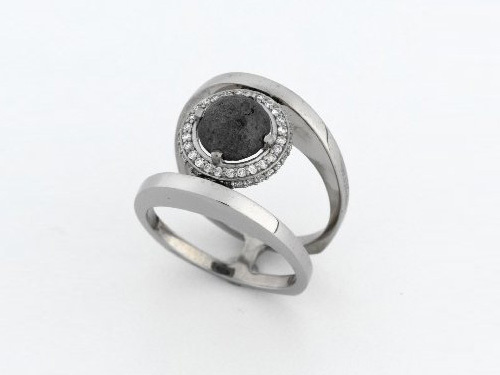 Leading the black diamonds trend, D’Ette created a fashion-forward ring that features a black Ballas diamond crystal and 85 diamonds. Her ring was worn by Kathy Griffin to the 2013 Grammy Awards, and also by Vanessa Hudgens at the Roxy launch party in NYC. 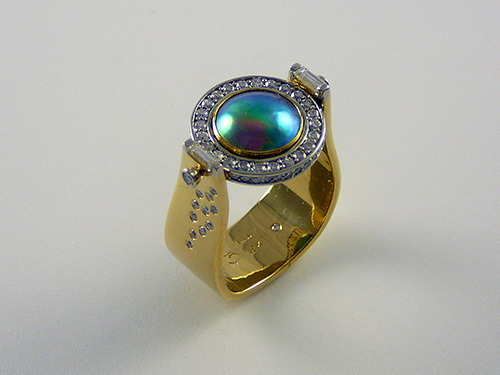 This 18kt gold ring features a unique focal piece that allows the wearer to choose between stones. Its unique feature is a rotating focal piece, offering the wearer two distinct looks. 90 diamonds encircle the two stones and are scattered down the ring shank on both sides. D’Ette accepted the Saul Bell Outstanding Achievement Award during the ceremony held at the Las Vegas JCK jewelry show. 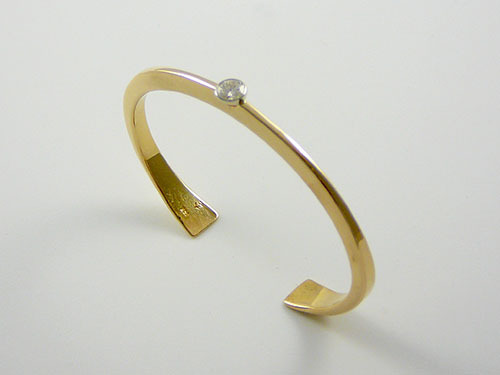 D’Ette’s bold bracelet with a brilliant bezel-set diamond was one of 25 winning diamond jewelry designs chosen from over 200 entries submitted for this prestigious Today for Every Day design competition hosted by the Diamond Information Center. D’Ette’s bracelet was featured in DeBeers television ads and major magazine publications.